Lygia Pape studied at the Museu de Arte Moderna in Rio de Janeiro. In 1953 she participated in the Exposição Nacional de Arte Abstrata (Hotel Quitandinha, Petrópolis, Brazil) and, in 1954, she co-founded the Grupo Frente which gathered Rio de Janeiro’s abstract-geometric artists around the figure of Ivan Serpa. Between 1955 and 1959 Pape created the series Tecelares (xylographs), which consisted of geometric forms engraved by hand allowing the wood’s texture to appear in the print. She participated in the Exposição Nacional de Arte Concreta (Museo de Arte Moderna, São Paulo, 1956; Ministerio de Educação e Cultura, Rio de Janeiro, 1957), contrasting the work produced by Frente and the São Paulo group Ruptura which held an extremely rationalistic position. In 1957 Pape created Livro poema, a pioneering experience that actively involved the spectator who was required to manipulate the piece to achieve the effect of the art work. Her investigation of the human body as activator of art continued in 1958 with the presentation of Balé neoconcreto I at the Teatro Copacabana (Rio de Janeiro), in which, great cylinders and parallelepipeds were moved by dancers hidden inside them. In 1959 she signed the Manifiesto neoconcreto together with several ex- members of Grupo Frente and the critic and poet Ferreira Gullar, marking the official beginning of Neoconcretismo. Between 1959 and 1961 she made new art books: El livro da criaçao, the Livro da arquitetura and Livro do tempo. In 1963 she experimented with film and joined the movement of Cinema Novo, and worked on drawing and sculpture. Her work involving audience participation continued with Roda dos prazeres (1967), Divisor (1968) and Ovo (as part of the collective manifestation Apocalipopótese, Aterro do Flamengo, Rio de Janeiro, 1968). From 1975, her first one-person exhibitions indicated the main directions of her production. Facas de luz (Universidade Santa Úrsula, Rio de Janeiro, 1975), used light as protagonist, and Eat Me – A gula ou a luxuria? (Museu de Arte Moderna, Rio de Janeiro, 1975; Galería ArteGlobal, São Paulo, 1976) showed women as objects of consumption. The subject of light found its development in the series Tteia, a project of nets between trees for childrens’ play from which evolved complex installations of threads and lights, begun in 1977. Social and political themes were treated in installations such as Ovos do vento (1979) and films. During the 1980s she continued to produce a wide range of sculptures and paintings and in 1988 a retrospective exhibition of her neoconcrete stage was presented at Thomas Cohn Arte Contemporânea (Rio de Janeiro). Frente- Brazilian group of constructivist artists built around Ivan Serpa, which was founded in Rio de Janeiro in 1954. The main characteristics of this group were the freedom and the individuality with which its members approached the exercise of concrete art in terms of style, techniques and materials, which were criticized by Sao Paulo’s Grupo Ruptura. It counted among its members Ferreira Gullar, Lygia Clark, Lygia Pape, Abraham Palatnik and Hélio Oiticica. Following the First National Exhibition of Concrete Art (1956-57), which they organized alongside Ruptura, and faced with demands for them to take a more explicit stance, both groups grew apart, and the Frente disintegrated soon afterwards. Neoconcretism- Brazilian movement that emerged in 1959, with the launch of the Neoconcrete Manifesto in Rio de Janeiro. The Manifesto was signed by Amílcar de Castro, Ferreira Gullar, Franz Weismann, Lygia Clark, Lygia Pape, Reynaldo Jardim and Theon Spanudis. Signers took a stand against orthodoxy and dogmatism in concrete art and in favor of freedom, experimentation, subjectivity and humanism as factors that were not in conflict with concrete art. Neoconcretism thus sought to be a local adaptation of European Concretism. The founding members were soon joined by Hélio Oiticica, Aluísio Carvão, Hércules Barsotti and Willys de Castro. Brito, Ronaldo. Neoconcretismo. Vértice e ruptura do projeto construtivo brasileiro. São Paulo: Cosac Naify, 1999. Carneiro, Lúcia y Pradilla, Ileana. 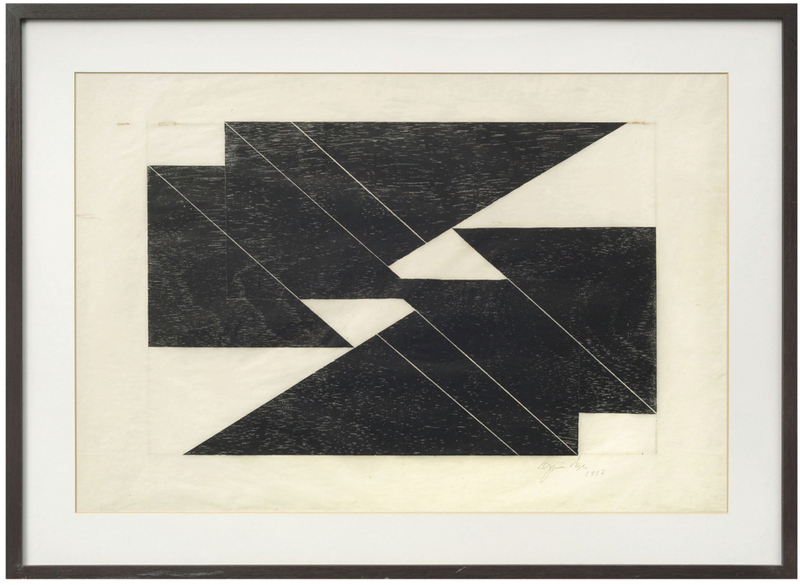 Lygia Pape. Coleção Palabra do Artista. Río de Janeiro: Nova Aguilar, 1998. Cocchiarale, Fernando. Lygia Pape. Between the Eye and the Spirit. Oporto: Mimesis, 2004. Espacio imantado. Madrid: Museo Reina Sofía, 2011. Mattar, Denise. Lygia Pape. Intrinsecamente anarquista. Perfis do Rio, n° 39. Río de Janeiro: Relume Dumará, 2003. Pape, Lygia. Gávea de Tocaia. São Paulo: Cosac & Naify, 2000. Pimentel, Luís Otávio y Pedrosa, Mário. Lygia Pape. Río de Janeiro: FUNARTE, 1983.